115. Integrated Product Design: Building a Generalist/ Specialist Business – How to Shape Human Behavior. 00:08:46 There are very talented specialists in every field, and unless you devote your entire life to this craftmanship, you’ll never be able to call yourself a master. You can still do things that are meaningful and iconic by approaching your subject through a generalist’s eye, and instead working with specialists. As a generalist approaching specialists, in order to avoid the knee-jerk “What you want to create is impossible” reaction, you need to learn how to frame your questions in the correct way so that your ‘naive’ questions can lead to new sets of more specialized questions which will lead to the answers you want, which is basically challenging that expert with how they can come up with a way to bring your unorthodox idea to life. Framed in this way, you are in fact challenging specialists to create outside of the borders of everything they are familiar with; challenges specialists tend to live for. It’s important to note that even if you are a generalist, you mustn’t do ‘everything.’ Rather, seek to do a lot of different things with a very similar approach; you do need your own definition of how you are a specialist. When building your portfolio, you can either build a skyscraper and be seen from very far away, or you can make a master plan and build around until eventually people find you. When the average person spends less than 6 seconds on your website, this second approach requires a huge effort and takes a lot longer to become recognized, but it must based on a certain foundation. 00:09:44 You can design a fantastic product, but if it’s not being photographed, packaged, marketed, or communicated well, your product will disappear. This is true for everything we create. 00:13:57 Product vs. Art. When you think of a folding chair, you think of a merely functional product that you hide under the bed or in the closet because it doesn’t go with any other decoration in your house, and you only pull them out when guests come over, only to be put right back into the closet after they leave. 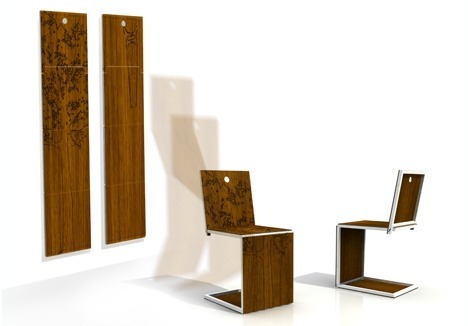 But what if you could turn a product with only a functional use into a piece of art that would not only take up less space, but that you would be proud to have displayed in your home? 00:17:21 An A-frame house structure has its benefits in environments where there is intense rain and wind and snow (such as during winter), yet has no real use in environments where it is warm (such as during summer), where a square framed house would be better. What if you could create a house structure which allows you to convert from one to the other depending on when it is needed? [EDITOR’S NOTE: As an entrepreneur, the design of your product could actually be disqualifying your ability to enter a specific market or location. How can you make your product more universal by modifying it’s design so that it can adapt to any environment? 00:51:38 No two projects ever follow the same timeline, process, and the same constraints, or lack thereof. And it’s quite rare that you will receive open-ended projects where you have absolutely no constraints whatsoever. Sometimes you may need to begin solving a problem by bringing in specialists, other times you may need to begin by designing a creation and then bringing in specialists to figure out how to bring your creation to life. This process depends on the parameters of the creative brief and the questions that need to be answered. Often times the briefs agencies receive will be so constrained, that the agency may have to challenge the client’s brief itself, going back to the client with additional parameters for them to consider. 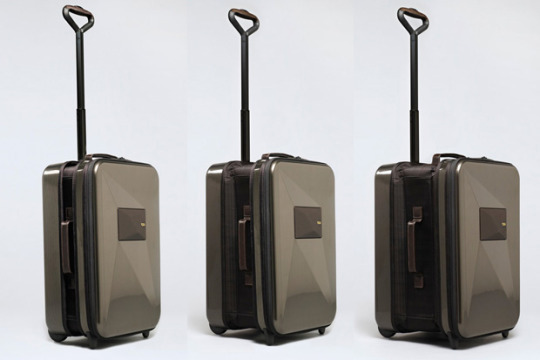 For example, Studio Dror was commissioned to create a luggage for Tumi, and their creative brief called for creating “The lightest luggage on the market.” But as we began dissecting and reverse-engineering their competitors and contemplating what travellers demand in their suitcases, we realized that weight differenciation had advanced to the point where if we were to make a “lighter” suitcase, the weight differenciation could only amount to insignificant grams, a weight differenciation customers would not even be able to notice. And so we challenged the brief, changing the challenge from creating “The lightest luggage on the market” to creating “A light suitcase which can adapt to a travellers many changing needs:” packing for the summer, the winter, for overnight trips, for long-stay trips, bringing gifts to family and leaving them behind; bringing an empty suitcase and returning with many more objects than anticipated, etc. The process is never the same because the questions are never the same. How to show my product/service is the most technologically-advanced? How to show my product/service is the best quality? How to show my product/service has the best return-on-investment? 00:56:32 Studio Dror rarely brings the potential user into the design process because focus groups can be extremely dangerous and need to be handled in a very specific way in order not to kill smart ideas that can be perceived to be stupid. One critical remark made by one person can have a destructive effect on an entire focus group’s results. [EDITOR’S NOTE: In our interview, Brand Listener Peter Spear also points this out, and offers extremely useful advice on how to manage focus groups and ask consumers questions in the right way so they give you the most productive answers and not kill your idea for the wrong reasons. Also, in her lecture How To Start A Startup: Growing From Zero to Many Users, Adora Cheung points out the reality of your consumer’s feedback when you’re offering free products versus paid products, and feedback from friends versus feedback from strangers. 01:09:59 As you go about your life looking for ideas and inspiration, learn to pay attention to your neck and your knees – where they are pointing and leading you, because you will find that unconsciously your brain is telling you that it wants you to pay attention to something, and your body and your eyes will naturally be guided towards that thing. Start keeping a collection of all those things that catch your attention, and then place them side by side to figure out why all of these things are important to you. All those little puzzle pieces will come together to form a large picture of who you are. Posted on June 15, 2015 August 16, 2016 by Joshua SMITHPosted in videosTagged architecture, consumer testing, design, dror benshetrit, packaging design, penndesign, product design, startups, studio dror. Pingback: 167. Seth Godin’s Business Toolbox: Help Your Business Do It Right The 1st Time – How to Shape Human Behavior.